Anyone itching to test out Apple's latest mobile operating system can now download the public beta of iOS 10. Is texting more satisfying with doodles? Will Photos make scrapbooking obsolete? To find out, go to beta.apple.com, sign up as a member of the testing program, and download iOS 10 beta. It's still too early for some of the more intriguing changes, like opening Siri and Maps to third-party developers or using Apple Pay on the web. Those features will be available with the official release in the fall. But here are some things to try out now. Do not install the iOS 10 beta on your primary iPhone unless you are a diehard early adopter. New operating systems are notoriously rickety and filled with bugs. A beta version of a new OS is even less polished, so proceed at your own risk. If you happen to have an extra device just lying around and really want to see what an enlarged unicorn emoji looks like after a shower of animated fireworks, then by all means install the public beta of iOS 10. There's no charge and anyone can participate. It works on the iPhone 5 or later, recent iPads and the newest iPod Touch. Fully back up any device first. Apple took Messages and tossed every youthful, hip feature they could find at it. The result is a slightly confused messaging app that is fun to play with, assuming you enjoy communicating with crudely drawn pictures and animated GIFs (I do!). The third-party integrations aren't here yet, but you can do things like send Mac-themed stickers, GIFs, and "invisible" messages. Unfortunately, Messages' new features only work with someone else who is also on iOS 10. So you will need at least one other friend running the beta to enjoy this. Apple has added a handful of automated photo sorting features, including face recognition and automatically generated collages called Memories. The features are very similar to what Google Photos offers, with a twist: Apple does all the analyzing on-device for privacy reasons. Give it some time to scan your photos, then go exploring. The best part so far is Memories, which are nicely designed, although the tool seems to err on the side of selecting too many images, and could benefit from a bit more editing. Face detection appears to lag behind Google (GOOG) -- apparently I have seven identical children, two husbands and a twin sister. Whether it's in a text message or email, Apple's predictive text really is quite a bit more clever in iOS 10. It can suggest contact information, locations, and even check your calendar while you're chatting about plans. 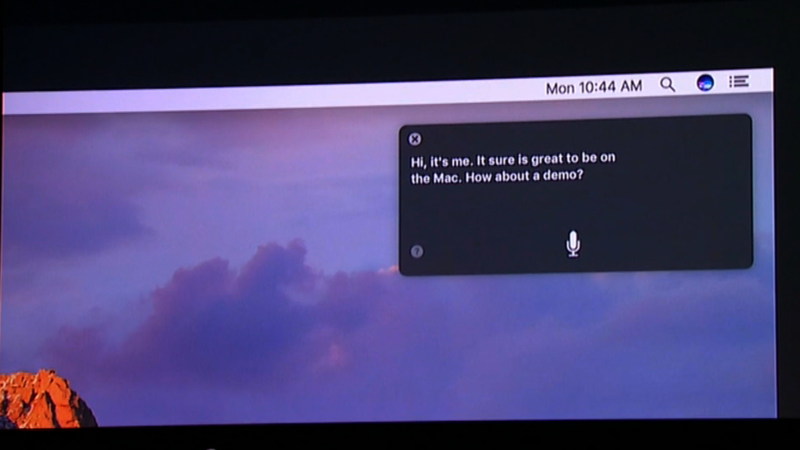 And you can now switch back and forth between multiple languages without having to change keyboards. C'est bien! Voicemail is retro for sure. But Apple has added automatic voicemail transcription so you don't have to listen to people babbling, you can read what they said (or at least a close guess). The feature is still rolling out to select users, so if you don't have it yet, be patient. There are plenty of bugs that still need to be addressed, and finding them is part of the fun of being a beta tester. There are also minor changes that will irk people until they have time to adjust. For example, to unlock an iPhone, you no longer swipe left but hit the home button. If you use a fingerprint to unlock every time, you won't notice. But others will repeatedly try to log on and instead see a new screen with weather, calendar and other bites of information. It will grow on us, probably.